In this podcast, you’ll meet people who have experienced dramatic transformations. Transformations anyone stuck in a battle for their health will want to know about. By listening, you can draw from their hard-won experience to bio-hack your way out of pain while shaving off years of suffering and start turning your health around - even if all seems hopeless right now. Each episode highlights the studies of leading experts or the stories people who have experienced autoimmune transformations. Listen and discover fun, hope-filled, honest, and intelligent conversations. 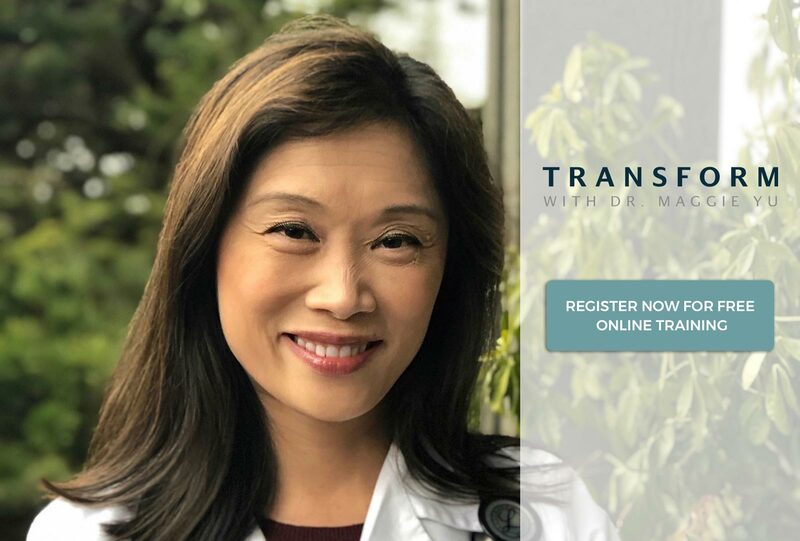 Dr. Maggie Yu Bio: The podcast is hosted by Dr. Maggie Yu MD, a 20-year medical professional who spent nearly a decade fighting her own battle with Hashimoto’s. After exhausting the knowledge of her colleagues and the traditional medical world, she decided to take matters into her own hands. 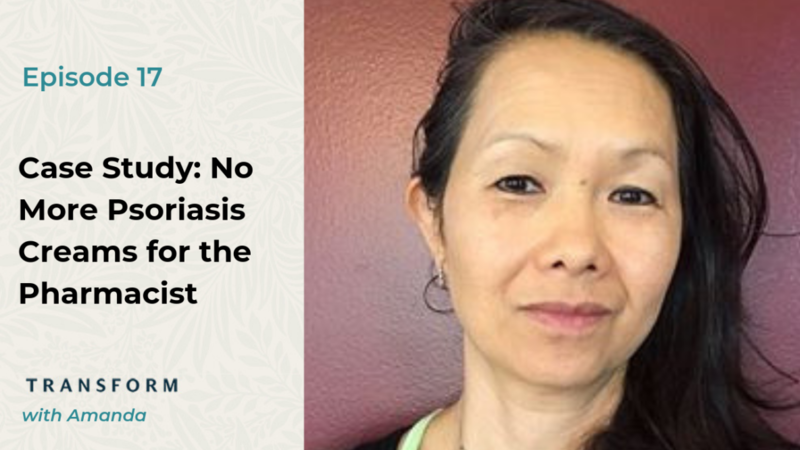 In this episode, Dr. Maggie Yu and Frankie Niwot discuss turning around psoriasis very quickly by addressing root causes. A recent graduate from the Transform Autoimmune Disease Naturally program, Amanda, is welcomed to share her experience of the program. Amanda has been a pharmacist for over twenty years and had been dealing with psoriasis for over fifteen. She had also been suffering from irritable bowel syndrome for as long as she can remember, but the symptoms worsened greatly this past summer. That’s when Amanda went to a doctor who wanted to prescribe mega-dose antibiotics, which she rejected. After searching for a solution, she discovered Dr. Yu’s program and enrolled after some slight hesitation. Dr. Yu tells us that many people don’t know that psoriasis is an autoimmune disease, and that this is the case for many other diseases too. With this is mind, Dr. Yu asks Amanda to look back and determine how many years she had really been suffering with autoimmune disease. Amanda says that it’s been over thirty years, starting as early as high school. Today, just two months after enrolling in the eight-week program, Amanda is happy to report that she no longer has the itching or crusting from psoriasis. She recalls that her symptoms subsided after three weeks of starting the program. After getting her food intolerance test results and eliminating the foods she was highly sensitive to, Amanda’s psoriasis went away. Amanda also had hormonal symptoms that she didn’t even expect to be addressed in Dr. Yu’s program such as insomnia and brain fog, which turned out to be helped greatly. Another big issue that Amanda discovered through the program was her blood sugar imbalance. Now that she is informed about its importance, Amanda is able to prepare her food so that she doesn’t crash during the afternoon. Continuing on, we hear Amanda’s thoughts about this not being a doctor-and-patient program, but rather an educational program that also has individual treatment. This allowed Amanda to learn about blood sugar management in a way that she can utilize daily. Dr. Yu jumps in to provide her opinion about the current medical care system not facilitating the education of patients. Now that she is not spending countless hours searching for a solution to her psoriasis, Amanda remarks that she has time to do the things she enjoys like yoga and spending time with her husband. She reflects on the way she used to spend time with him, which involved her not being really present with her mind somewhere else. Amanda’s children have autoimmune disease as well and she asserts that she would love for them to enter Dr. Yu’s program someday. Amanda is asked about her experience in interacting with the community within Dr. Yu’s program, and she answers that this was a very important aspect. She describes the weekly group calls as being like a family meeting where everyone could share their problems. Amanda enjoyed being a fly on the wall and learning from other people’s situations. According to Amanda, Dr. Yu’s program embodies true healthcare. She hopes that as more people use this program and learn how to heal themselves, big insurance will begin to take notice.